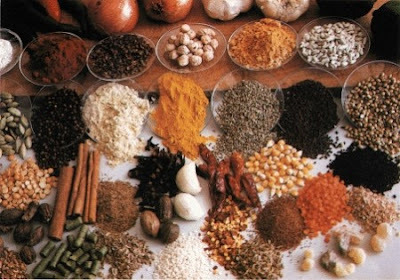 Nigerian researchers at the Department of Science Laboratory Technology, Federal Polytechnic, Bida, Niger State, have explored the biopotency role of culinary spices and herbs and their chemical constituents in health and commonly used spices in Nigerian dishes and snacks. A recent study published in African Journal of Food Science has summarised the current scientific publications of researches concerning the potential health benefits of herbs and spices. It also highlighted some commonly used spices in Nigerian dishes and snacks, major useful compounds of these herbs and spices and the need for value addition and product development. According to the study, some of the herbs used as culinary spices include Afromomum danielli; baobab (Adasonia digitata); basil (Ocimum basilicum); black pepper (Piper nigrum); celery leaf (Apium graveolens); clove (Syzygium aromaticum); cucumin (Cuminum cyminum); curry leaf (Murraya koenigii); fluted pumpkin (Telfaria occidentalis); garlic (Allium sativum); ginger (Zingiber officinale); nutmeg (Myristica fragans); onion (Allium cepa); chilli (Capsicum frutescens); red pepper (Capsicum annum); star anise (Illicium verum); tomato (Lycopersicum esculentum); turmeric (Curcuma longa); bitter leaf (Vernonia amygdalina); spinach (Amaranthus hybridus); Piper guineese; Xylopia aethiopica (West African black pepper, uda in Ibo); Zanthoxylum zanthoxyloxides; Moringa oleifera; Hibiscus sabdarifa (Sorrel, Zobo); Okro (Hibiscus esculenta) and (Corchorous olitorus). The researchers noted that these culinary herbs and/or spices show high potential as functional ingredients in traditional snacks. The researchers concluded: “Spices produce vast and diverse assortment of organic compounds, the great majority of which do not appear to participate directly in growth and development. These substances, traditionally referred to as secondary metabolites, assume great significance. Even though these chemical structures are perceived generally as biologically insignificant, several researches have shown their usefulness in human health concerns. “ Secondary metabolites in spices and herbs have been a fertile ground for chemical investigation for decades, driving the frontiers of chemical knowledge forward. In recent years, there has been an emphasis on secondary metabolites in relation to dietary components, which may have a considerable impact on human health. “Reports from studies on animals models and in vitro system, leads us to direct future research perspectives in this area. The action of spices on reproductive functions as well as their potential role as regulators of fertility and/or conception also is an area holding great future promise. “Synergy is an important concept in spice physiology and has a pharmacokinetic basis. Components of whole spices, which are not active themselves, can act to improve the stability, solubility, bioavailability or half life of the active components. Hence, a particular chemical might in pure form have only a fraction of the pharmacological activity that it has in its plant matrix thus suggesting that measuring an individual’s food intake and assessing individual variation in disposition, bioavailability, and metabolism of micronutrients might allow for more accurate and individualized nutritional approaches for dietary prescription. It has been shown that dietary spices may influence gastric emptying, gastro- intestinal motility, secretion of gastric acid as well as intestinal bicarbonate, bilopancreatic secretions, absorptive processes and bacterial microflora. Many of the commonly consumed foods, herbs, and spices contain phytoestrogens and phytoprogestins that act as agonists and antagonists’ in vivo. Over 150 herbs traditionally used for treating a variety of heath problems were extracted and tested for their relative capacity to compete with estradiol and progesterone binding to intracellular receptors for progesterone (PR) and estradiol (ER) in intact human breast cancer cells. The six highest ER-binding herbs that were commonly consumed were soy, licorice, red clover, thyme, turmeric, hops and verbena. The six highest PR-binding herbs and spices commonly consumed were turmeric, thyme and red clover. The global spice trade in 2004 consisted of 1.547 million, valued at $ 2.97 billion. Therefore, using herbs as functional ingredients to improve the health benefits of snacks is an interesting alternative. Any good snack should be convenient to consume, inexpensive, nutritious, low in fat, and have long shelf life. The health promoting effect of vegetables and fruits is thought to relate not only to the general nutritional profile of this food group which are high in dietary fibre, low in fat and salt, low energy density and high in vitamins A, C and foliate, but in addition, wide range of non-nutrient bioactives and phytochemicals such as flavonoids and other phenolics are also found in herbs and spices. It has been proposed that the additive and synergistic effects of the complex mixture of phytochemicals in fruits and vegetables, herbs and spices are largely responsible for their health benefits. Wild vegetables have been reported to contain comparatively high amounts of Vitamins A and C and other antioxidant micronutrients, promote good health by assisting in preventing cancer and high blood pressure, stimulating the immune system, improving drug metabolism, and tissue regeneration. the understanding at the cellular and molecular levels of carcinogenesis have led to the development of a promising new strategy for cancer prevention called chemoprevention. It is defined as the use of specific chemical substances – natural or synthetic, or their mixtures to suppress, retard or reverse the process of carcinogenesis. It is one of the novel approaches of controlling cancer alternative to therapy. Tamarind is used traditionally as an astringent antiflammatory and antidiuretic agent, a laxative, carminative and digestive agent. According to the researchers, one of the benefits of culinary herbs and spices are primarily due to their antioxidant properties. Free radical and related species are generated in the body as a result of metabolic reactions.